From then on go to the website of CBS or use their app if supported. Please see supported devices between CBS and Unlocator at the bottom of this page. 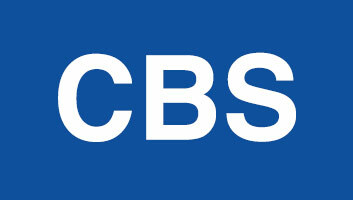 CBS is one of the heavyweights of the US entertainment scene. They have an enormous amount of shows available for streaming. Some of the highlights are How I meet your mother, CSI, Big Brother, 60 Minutes, Survivor, The Talk, The Price is Right and The Young and Restless. Basically it’s just one long list of household names and hit shows. CBS is a great lifeline for US expats living abroad in Canada, UK, Australia, France, or Germany. Unlocator removes geographical restrictions and makes CBS available anywhere in the world. To unblock CBS outside US, get a free Unlocator trial. CBS is able to detect your location by looking at your IP address. In order to spoof your location and trick CBS into thinking you are in the US, use Unlocator. First, sign up with Unlocator for free. Then, setup Unlocator DNS on your Android, Chromecast, iPad, iPhone, iPod, Kindle Fire, OS X, Ubuntu, Vista, Windows 10, Windows 7, Windows 8, Windows XP. Once that is achieved, you will be able to unblock and watch CBS outside US. There is no need to download additional software. Your IP address and Internet speed are also left unaffected. Keep in mind we can’t remove the restrictions for live streaming on CBS as it uses the location API in your browser. Also, please disable any ad-blocking plugins in your browser. Otherwise you will not be able to watch CBS on your PC/Mac.